In the article on Acupuncture – A Brief Introduction, we discussed the concept of invisible energy pathways, or meridians that run throughout the body in a closed circuit. Powerful energy is transmitted through these meridians similarly as the energy that runs through electrical power lines. So when there’s lack of Qi energy (electricity), or there are blocked meridians (power lines), then there’s congestion and lack of healthy flow in the body (traffic). This article will then examine one of the most common examples of meridian blockage/deficiency in the body that North Americans face, offer a Chinese medicine view about it, and a few suggestions to deal with it – arthritis. In the USA, arthritis is the main cause of disability with an estimated 50 million Americans reported as having been told by doctors they have this condition, according to the Centers for Disease Control and Prevention. 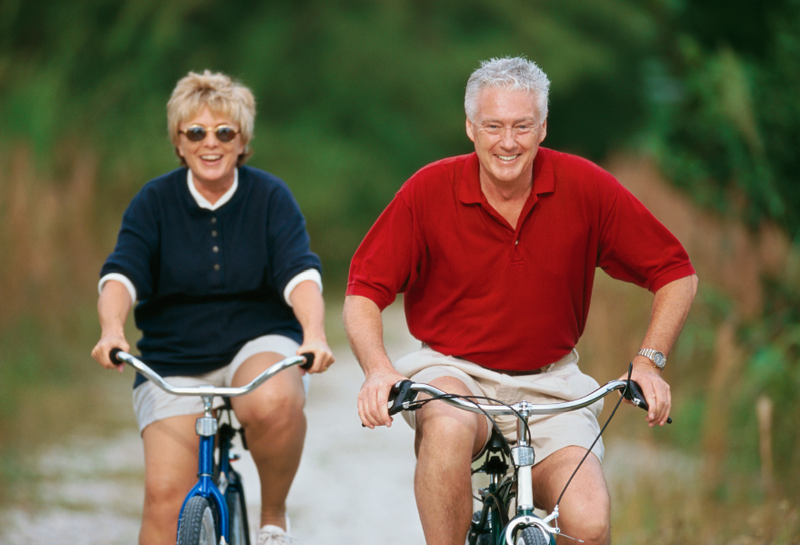 Why is arthritis so common in our North American lifestyle? How can we deal with it? What does Traditional Chinese Medicine have to offer that may help us? Arthritis comes from the Greek word arthro- meaning “joint” and -itis meaning “inflammation”. 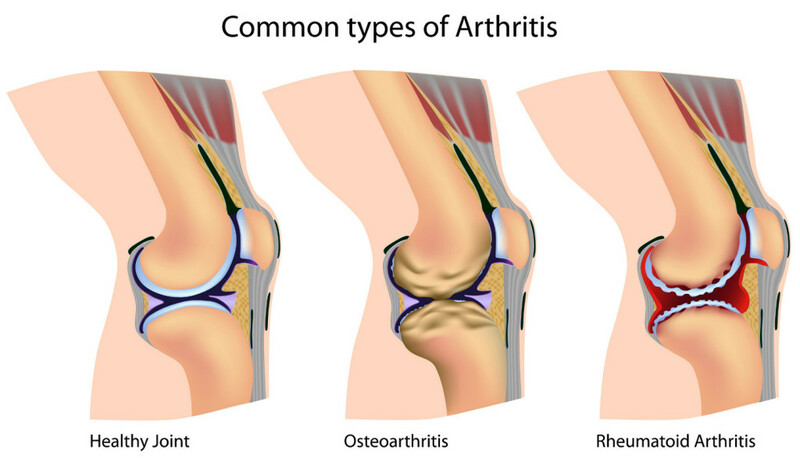 According to modern medicine, there are over 100 different types of arthritis. But in all of them, the complaint is the same – joint pain. This pain is due to local inflammation in and around the joint. What’s the TCM view on the root cause of arthritic pains? 1. Deficiency of Liver blood. It is understood in TCM that Liver blood nourishes and lubricates the tendons. When this is lacking due to: previously damaged joints, blocked circulation elsewhere in the body, long-term deficiency, or poor diet (to name a few reasons) – then there will be arthritic pain in the joints. 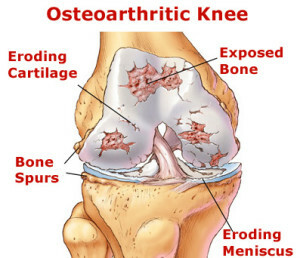 Thinned joint cartilage leading to bone-on-bone pain in osteoarthritis is the most common example of this root cause. 2. Deficiency of Jin-Ye. Jin Ye is a manifestation of Yin. Jin-Ye refers to body fluids such as the clear synovial fluid in joints, or cerebrospinal fluid in the brain and spinal cord. When Yin is deficient, Jin-Ye is deficient and that means the joints are not being lubricated adequately. Hence there is pain, stiffness and inflammation. Joint pains in those with diabetes, Parkinson’s or lupus (SLE) are examples of arthritis due to this root cause. 3. Invasion of cold, heat, wind or damp from outside the body. In the West, we talk about “catching a cold”. In TCM we can not only catch a cold, but we can also “catch a wind”, “a damp”, or even “a heat”. Arthritis is considered an invasion of one or more of these external factors due to the body’s poor ability to properly adapt to these stimuli. Thus, when what we catch gets lodged in the joints, it causes blockages of the meridians and results in arthritis. For example, gout and rheumatoid arthritis are most often a damp-heat arthritis whereas osteoarthritis is most often caused by combined wind-cold-damp and liver blood deficiency. How to deal with arthritic symptoms? This will depend on which root cause underlies the arthritis. Here are 3 simple tips that may help. 1. Soak your feet in hot water nightly before bed for 20-30 min. The body’s energy pathways all begin or end in the feet, and travel throughout the entire body. When you soak your feet in hot water, the heat from the water helps open the meridian pathways from cold, wind, damp or heat blockage. Adding bath salts a few times per week enhances the effect as salt is an excellent detoxifier and natural anti-inflammatory. 2. Avoid phlegm-producing foods like cheese, dairy milk and rich sweet foods (not necessarily forever, but for a period of time until health improves). These foods can all plug the meridians and lymphatic drainage system further, making the Qi (vital energy) move very sluggishly, leading to easy fatigue and uncomfortable body aches and pains. Instead take thin, brothy soups, unsweetened almond milk, and steamed, boiled, stir-fried, baked foods. 3. Eat water-rich foods like okra, asparagus, broccoli, carrots, spinach, cucumber, tomatoes, grapefruit, figs and berries, especially goji berries (caution for diabetics with goji, there are other herbal options). If arthritis is due to Yin deficiency (pattern of disharmony determined through tongue, pulse and other symptoms), causing lack of fluids in the joints, then nourishing Yin is the #1 treatment principle, which these vegetables and fruits provide. Also, for those with liver blood deficiency or Yin deficiency, eating sheep liver and sour-flavoured foods while avoiding spicy, fried/grilled food is critical. In this case, spicy food (particularly Tabasco sauce and green/red chilis) only serves to burn up the body fluids, leading to more inflammation and pain. Sour foods on the other hand, like lemon and grapefruit, have an astringing effect, and help preserve the body’s already depleted precious fluid reserves. For more information on osteoarthritis, read this article abstract Osteoarthritis and Chinese Medicine, published in the Journal of Chinese Medicine, 2010.